When I was invited into collector Rick Synchef’s home several months ago, I was drawn by the promise of signed rock posters from the San Francisco music scene, as well as first-edition copies of Beat poetry by such luminaries as Allen Ginsberg and Lawrence Ferlinghetti. But it was Synchef’s collection of flyers, pamphlets, and other ephemera, distributed by groups such as the Students for a Democratic Society (SDS) and the Yippies, that made the greatest impression on me. At the time, Occupy Wall Street protestors had made the disparity of wealth in the United States a presidential campaign issue, while protestors in Oakland, California, shut down that city’s port, albeit briefly. As I looked at Synchef’s collection (only a tiny fraction of which is shown here), carefully removed from flat files stored beneath his bed and archival boxes packed into closets, it seemed as if the blueprints for the Occupy movement were being laid out before me. Top: A Eugene McCarthy for President event, 1968, signed by the candidate. Above, left: A Yippie flyer promoting events during the Democratic National Convention, 1968. 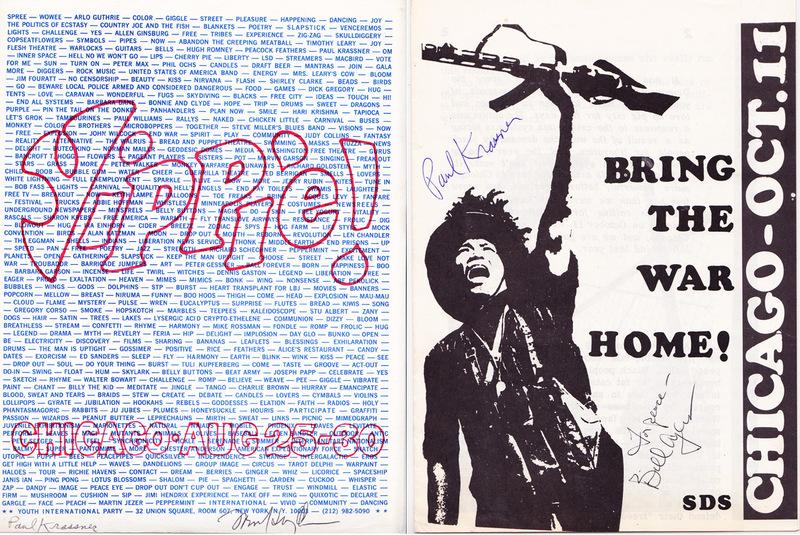 Above right: The cover of an SDS booklet timed for the trial of Yippie and other leaders arrested at the August event. 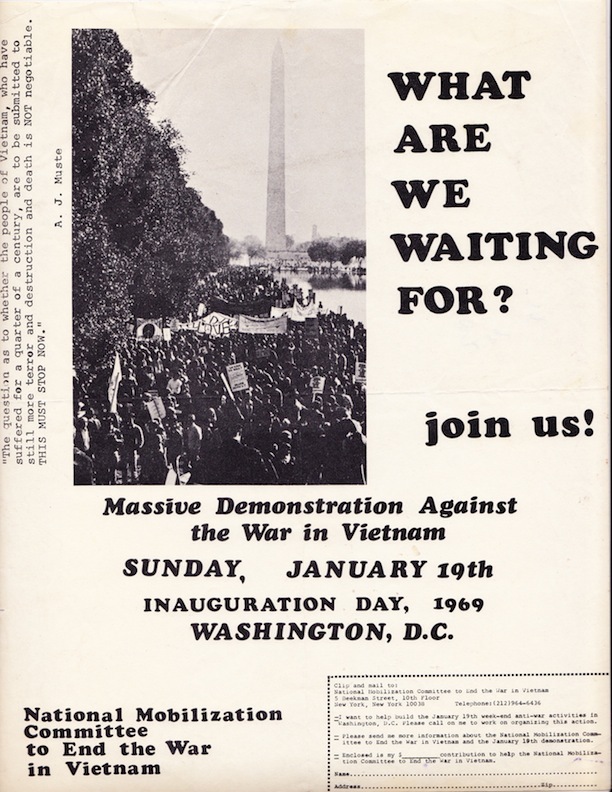 Although the lightning-rod issue for student activists in the late ’60s was opposition to the war in Vietnam, Synchef remembers the motivation of the movement as being more far-reaching. “It was about human rights in general,” he says, “about trying to make people’s lives better and more meaningful.” It was also about challenging the power structure, particularly the incestuous relationship between government agencies and the corporations that benefited from their policies. These days, such events become instant Internet memes. 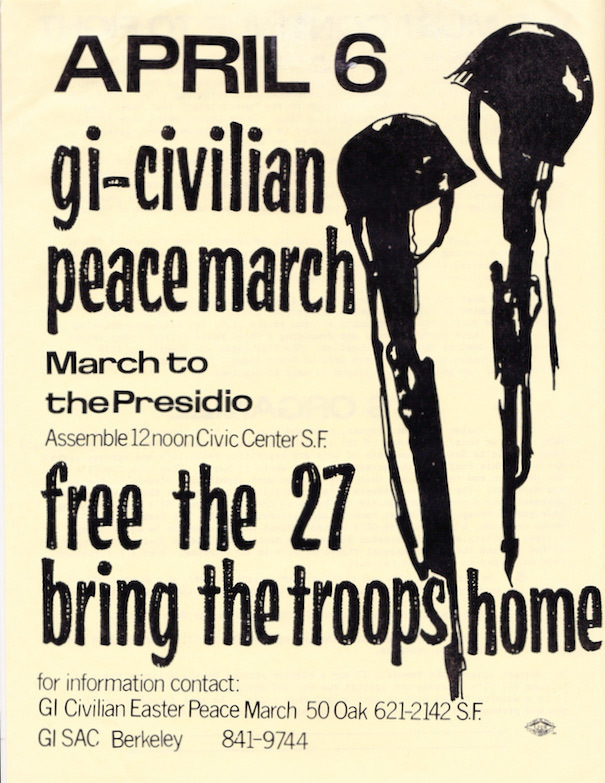 This 1969 flyer for an event in San Francisco advertised one of several peace marches around the country that day. Two posters were produced for the Human Be-In in Golden Gate Park. The one on the left was designed by rock-poster artist Stanley Mouse and “Oracle” art director Michael Bowen. The one on the right is by rock-poster artist Rick Griffin. 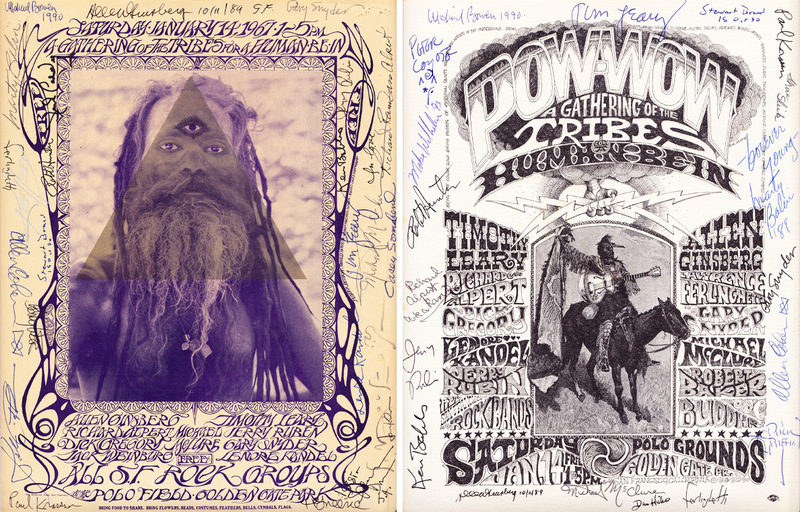 Synchef’s copies have been signed by many of the day’s participants, including Timothy Leary and Allen Ginsberg. An anti-war protest march greeted President Richard Nixon on inauguration day. 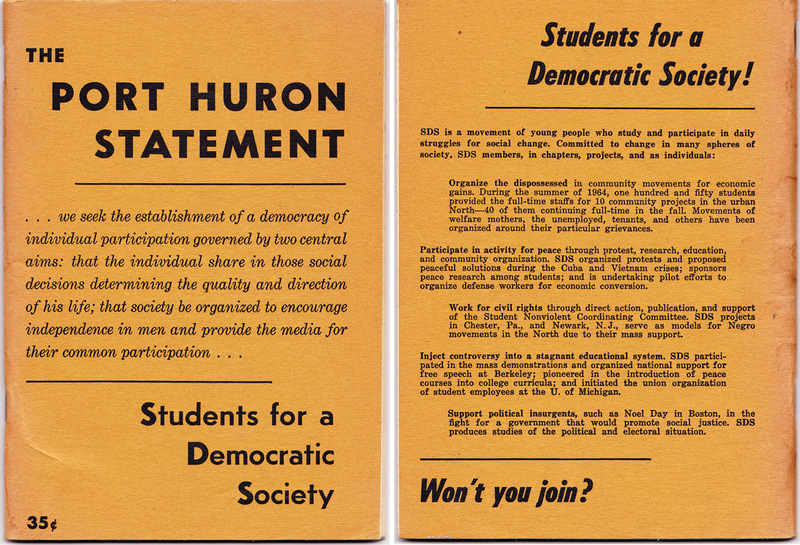 Written in 1962 by Tom Hayden and others, The Port Huron Statement (click to enlarge the front and back covers) became a blueprint for political activism in the 1960s. 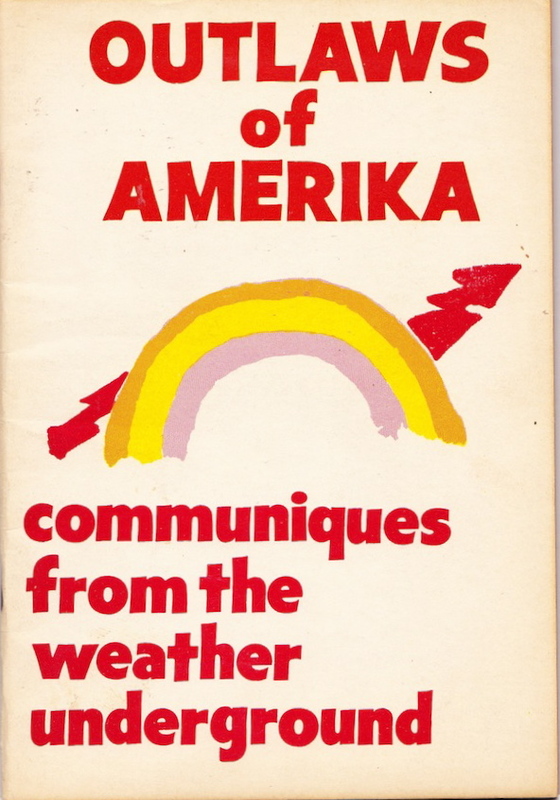 The Weather Underground was a more radical spinoff of the SDS. 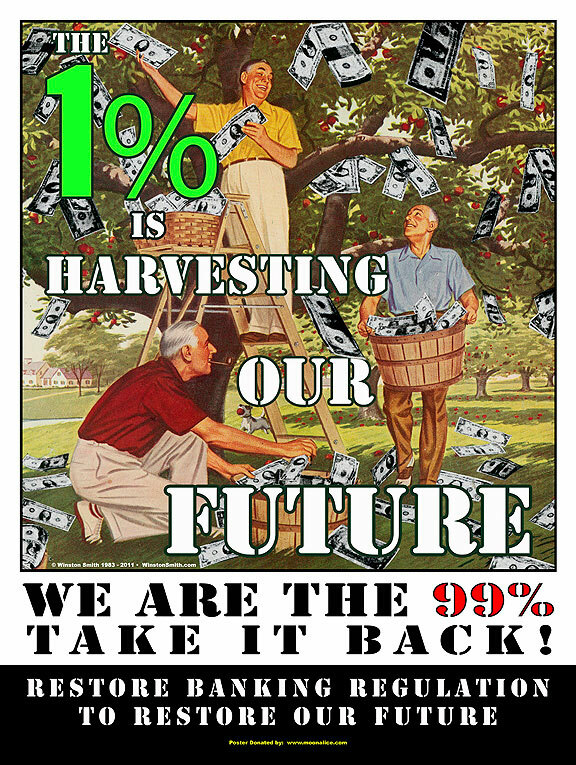 In 2011, the band Moonalice commissioned a number of artists, including Winston Smith, to produce posters supporting the Occupy movement. Equally surprising, perhaps, is the notion that old pieces of paper associated with groups that often espoused anti-materialism views would become a genre of collectibles. Indeed, Synchef’s collection contains hundreds of signed items, often bearing the scrawls of numerous people involved with a particular event. But for Synchef, those signatures are less about collecting autographs in the celebrity sense than they are a desire to connect the documents in his collection with the people whose actions inspired them. Viewing the documentary “MC5: A True Testimonial” should be required. It is still not released AFAIK, but can be found floating on the web. I enjoyed seeing the Oracle Magazine cover. I was at the Human Be-In and made a short 8 mm film of it. 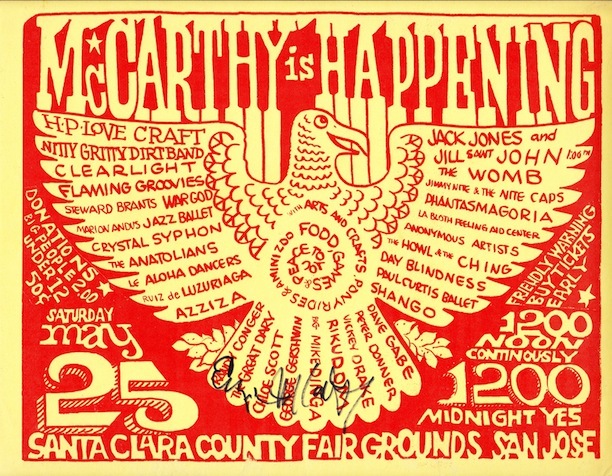 It has Janis Joplin with Big Brother and the Holding Company, Country Joe and the Fish, Timothy Leary, Alan Ginsberg read Howl, Lenore Cantrell reading one of her poems, Hell’s Angels guarding the sound truck, Ken Kesey’s bus and others that were there. I really wish there had been camcorderd at the time for capturing a better feeling for the moment. An instructor of a local community college had a friend make a copy of my film and made one for me. He was going to use it in one of his media classes. I was going to be there to answer any questions and give a “color description” of what was going on around me. The posters collected by Tom Benson are now published in Benson, Posters for Peace: Visual Rhetoric and Civic Action (Penn State University Press). The book was named an Outstanding Academic Title for 2015 by CHOICE.